If you ever dream of a country where her leaders are birds of a feather, where followers pray for their leaders fall check Nigeria. With different ethnic groups, with many religions and even varying political school of thoughts, our leaders still come together, fashion out ways of looting the country's treasury. I wonder why people with different religions, diverse ethnic groups, tribes and all that make the differences, connive to rob tax payers' wealth. While some keep supporting ethnic gingered moves in the hope they will bring about development, they (self-centered leaders) see it as an avenue to blindfold the rabbles that are ethnic/tribal jingoist. I am always disturbed with the behaviours of some self-proclaimed ethnic mouthpieces who want to be relevant by every available means. It is disheartening Nigerians pledge maniac supports for these people whose past show how anti-humane they are. It is time we understood egocentric leaders from patriotic, lest we fall into shackles of political sycophants. Those ignoramuses who aid our present leaders should take heed, how do you support a regime where injustices, corruptions, looting and all barbaric ideas are not ignominiously condemned. Should we keep mute and watch devils turn our country to evil's den? As I write with bleeding heart, I at the same time realized we have caused this nation grief which we may not be able to assuage if care is not taken. Is it the voting in of corrupt politicians because they are our neighbours that do not merit sheer spanking from God or our ways of rigging elections for friends and families? We need to ask ourselves why we are failing as a nation bounded many years ago. As a nation, we cannot say we are successful in any ramification, crude oil that is working for Niger republic is a disaster to Nigeria. Agriculture, the backbone of some country is a sheer problem to us. Since we have decided to do things without thinking of other Nigerians who are going to be affected, we may not be united till we reconsider those suffering from our ethnic, tribal, political, religious, and polito-religious ill-actions. Those who want their bread buttered on both sides venture into politics or politicking, “politricking” as the case may be. Those who circumnavigate our political arena are agreeably looting our country's future, while we keep our hands akimbo with belief that 2015 is around the corner. Only a fool, an imbecile will be happy with our present leaders who are not bothered despite the depreciating economy of our nation. The score card of this nation is nothing to write home about, our electricity from day one is a lampoon before other African countries. Agriculture our supposed heritage, is astronomically devastating. What do we have to say about Nigeria that is not negative? I have not seen any success story about my country. The recurring ASUU strike is among the factors weakening our education sector. it is normal ASUU strikes, it is no news undergraduates use seven years before they graduate in Nigeria, ceteris paribus., Where is MR GEJ? Which way Nigerians, oti sumio – I am fed up. Solution does not come from a dull mind, it take genius sleepless nights to be what he is, not by virtue of silence. The moribund state of this nation has reached a deplorable condition, which we should not leave politicians alone to tackle. We need to be guiding our carefree politicians so that they will not wreck our country; exploitation appears to be there aim. You hardly find a community without representatives in the fore front of this country, how come our demands are not met. Let us be realistic, are people of different tribes, religions, and even languages not suppose to be of different orientations? Should we say there is jinx in the leadership positions since they all failed to bail us out of these problems? We do disagree on ethnic issues, religions do separate us, but why do they (our leaders) speak with one voice when it comes to fueling corruption. Most of the absolutist politicians ruling over us were called into politics by relatives, friends or even enemies. When people see you are rich –They lure you into politics. They believe there is possibility of getting more from you. Do not forget, a politician that spends billions of naira to campaign will siphon trillions when he emerges. We should not misunderstand politicians' stupidities and profligacy for generosities. What is generosity in a senator that spends lavishly in clubs but keeps mute when tangible issues are discussed in the senate? At times when I see our politicians in outrageously radiant and expensive attire, I feel perturbed, but the reality is, we all poured water in the river that is sinking our nation. Did we not vote for them, don't we know they are hidden thieves before we voted for them? The expedient measures taken by politicians were engineered by the rabbles. The do or die disease in our politicians was passed into their veins by the citizens. You ask me why? Are we not the ones that lured them into politics? We should understand that political seats or appointments are not chieftaincy titles which you beg people to accept. They are seats meant for the dedicated, patriotic, dependable ones among us. Not the seats of those who see every channel in politics as a means of exploiting the hoi polloi. We should not call those who want to exploit the citizens. Crying tomorrow on country misappropriated funds and queuing at the houses of ministers to collect token is pointless. it is to me, hypocrisy of the highest rank. The kind of people who do this should be taken through the most virile of hostility by the community. You wait at commissioner offices to lobby for contract, and you come complaining Nigeria is sinking. Are you not supposed to sink with that Nigeria? Nigerians are the funniest of people I have ever met. The bunch of NURTW unionist and okada riders who expedite the do or die political break through are repaid with high taxes on their okada and taxis, is that not funny? We seduced the rich into politics. It is necessary they pinch country's wealth or they rob us to pay for the loans used in campaigning. The present crop of politicians we have now are thieves, they used their family antecedents as stepping stones. At the end, they sell the family's silver. Examples abound, some of these politicians are already fading back into obscurity. The political robbery propelled by them is making them to burry their heads in shame. Until we separate the sheep from the goats, Nigeria will continue to loom in corruption .These are realities that will make us think and probably show us the way to Nigeria of our dream. 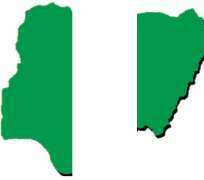 Nigerians, Eronu ojo nlo –Change your mindset and let us start to build a new Nigeria. YUSUFF OLAYODE SUPOTO writes from the city of Ibadan. Disclaimer: "The views/contents expressed in this article are the sole responsibility of Yusuff Olayode and do not necessarily reflect those of The Nigerian Voice. The Nigerian Voice will not be responsible or liable for any inaccurate or incorrect statements contained in this article."